Don’t be a noob! 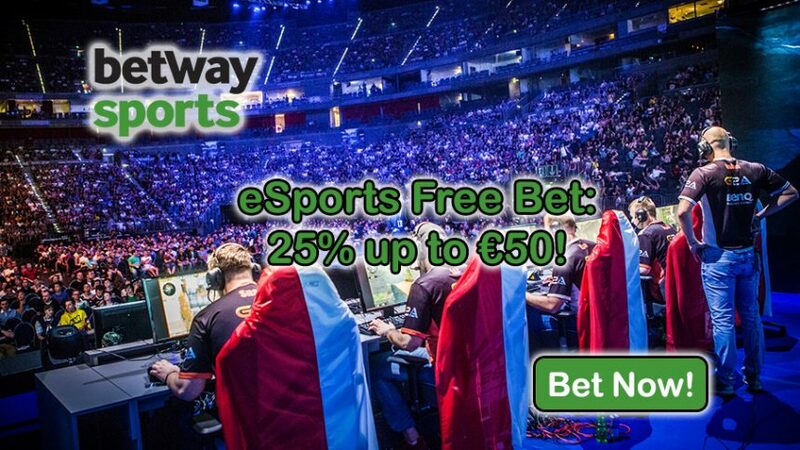 Bet on all you can throughout October and you’ll be rewarded up to €50 with Betway’s eSports Free Bet Offer! Make wagers on any eSports market until the end of the current month to claim 25% eSports Free Bet up to €50. 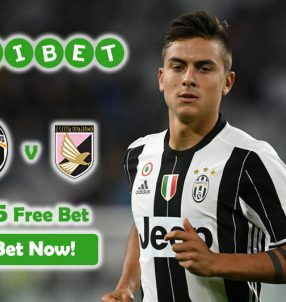 Betway will reward your first bet of the day, so use this chance to make the most of your betting efforts throughout October. Place a minimum stake of €5 on any eSports market (can also be eSports multiples) with the odds of 3/4 (1.75) or higher to qualify for the eSports Free Bet! So use this time wisely, because you have less than two weeks to go until the end of October. Betway offers a range of eSports markets that range from Lol and Dota to Overwatch and SC:GO. If you’re a big fan of the latter game, make sure to use this opportunity to place a bet on the CS:GO ELEAGUE winner (Each way: 1/4, 1-2); SK Gaming are favourite to win the title 4.50 (7/2), while Natus Vincere are right behind them with odds of 5.00 (4/1). Virtus pro 8.00 (7/1), G2 Esports 10.00 (9/1) and Ninjas in Pyjamas 11.00 (10/1) are all outsiders to become champions. Those damn noobs! 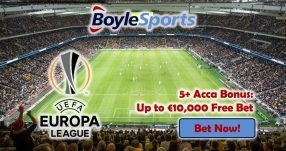 Make a simple bet on any of these teams and collect an eSports Free Bet up to €50. Seriously now, don’t be a noob. To be honest, this is a bit ironic coming from me, since I’m a noob myself; this is the only gaming term that I know. Onwards from October 22 will see a number of thrilling games take place in the League of Legends World Championship. Rox Tigers 1.90 (9/10) will go head to head with SKtelecom T1 1.80 (4/5) on October 22, while the following day you can place a wager on the match between the favourites Samsung Galaxy 1.25 (1/4) and underdogs H2K 3.55 (51/20). Let’s hope the former doesn’t suddenly catch fire and burn up half ot eh arena. Once again, don’t be a noob, place a wager on any eSports market throughout October to scoop 25% eSports Free bet up to €50. 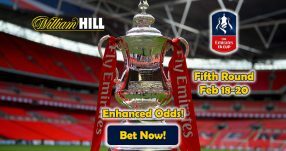 Get your eSports Free Bet now!